Kids, eh? Straight out of the door straight into the next big winter adventure. Don't forget your hat! Whatever they've got planned, The Kids Colorfloat Knit Cap from Jack Wolfskin is game for anything. The inside of this hat has an additional warm fleece Lining around the ears, so it provides double the protection in cold winter weather. The fleece is extra soft so it's perfect for sensitive little ears. 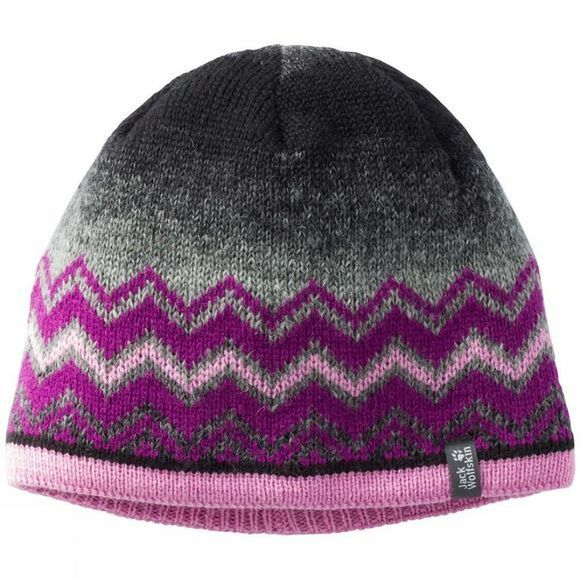 The natural colour gradient design and stylish Norwegian pattern give this hat a very modern look.